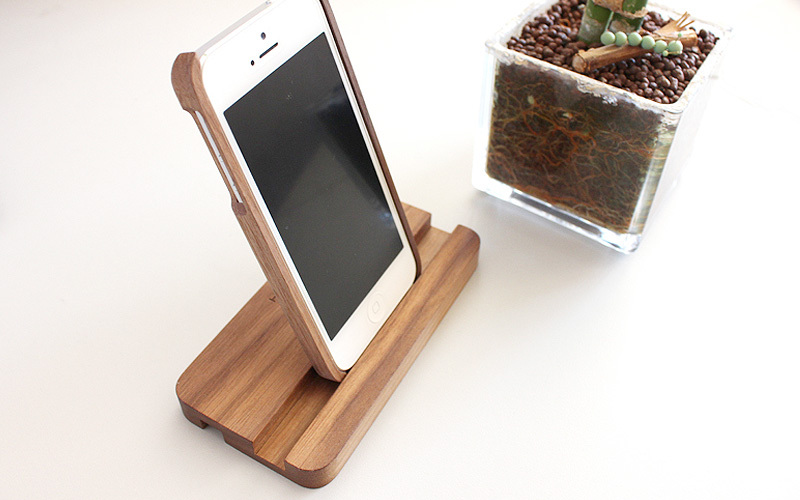 Providing a cozy room for it, this wooden stand helps you keep your iPhone in place on your desk or bedside table. 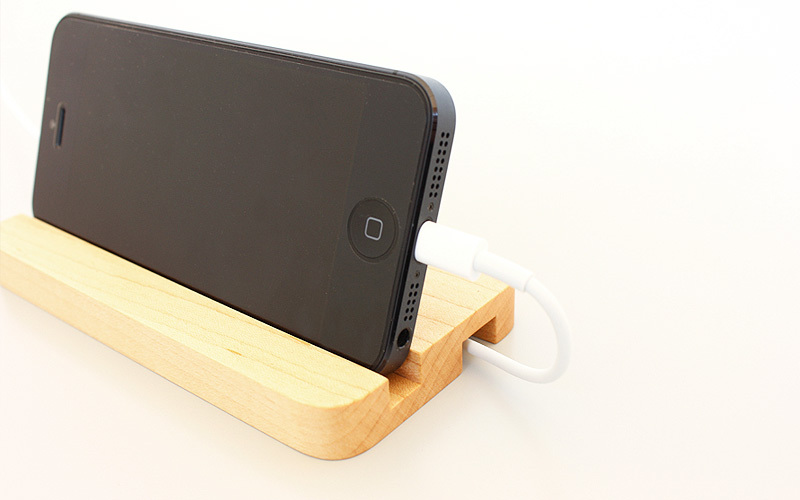 This stand is reversible with two grooves. 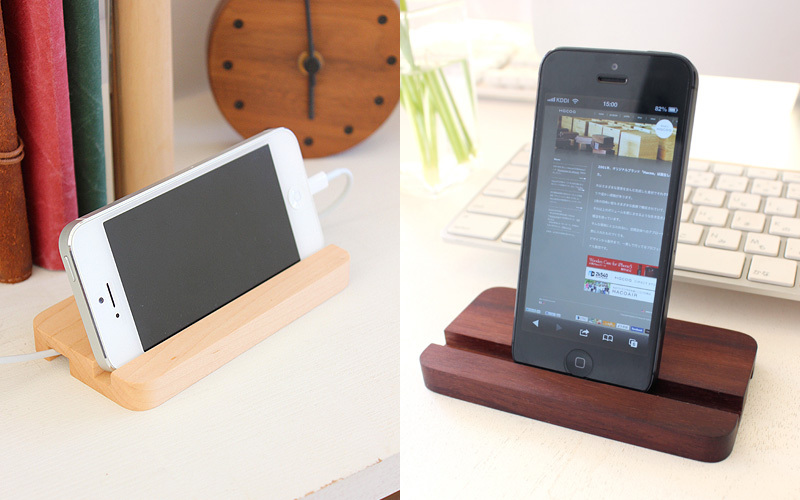 Wider one is designed to fit perfectly with Hacoa's wooden case for iPhone, and another groove on the other side is for an iPhone without any case. Charging cable can be trained in the backside groove.